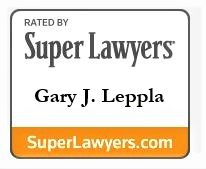 Gary J. Leppla - Leppla Associates, Ltd.
Gary J. Leppla, a native of Cleveland, Ohio has practiced law in Dayton, Ohio since 1978. He is admitted to practice in the State of Ohio (1978), and various federal courts, including the United States Supreme Court, and is also licensed to practice law in the State of Florida (1990). Mr. Leppla is a Board Certified Civil Trial Lawyer, as recognized by the Ohio Supreme Court and certified by the National Board of Trial Advocacy. He has been recognized by his peers with an AV rating in Martindale-Hubbell and is designated as a “Super Lawyer” by the Super Lawyers peer review publication. Practice areas: Civil Litigation; Commercial Litigation; Medical Malpractice; Personal Injury; Land Use; Probate; Ethics. Admitted: 1978 Ohio and U.S. District Court, Southern District of Ohio; 1985 U.S. District Court, Northern District of Ohio; 1986 U.S. Supreme Court; 1989; 1990 U.S. Court of Appeals, Sixth Circuit; 1990 Florida Bar; 1984 U.S. District Court, District of Arizona. Law School: The Ohio State University, J.D. Mr. Leppla is the principal attorney at Leppla Associates, Ltd. which serves individuals, businesses and family clients in a litigation practice emphasizing business and property matters, injury claims, product liability, malpractice, land use and ethics. The firm has represented plaintiffs in a variety of settings including those involving trial verdicts in Montgomery, Miami, Preble, Greene and Warren counties in the Greater Dayton area, as well as throughout Ohio, including one of the largest malpractice verdicts in Montgomery County history in a case involving a failure to diagnosis cancer. He has successful obtain an award in excess of $3 M. in arbitration before the American Hospital Lawyers Association. Mr. Leppla routinely advises and represents lawyers and judges in matters of professional ethics. Reported decisions before the Ohio Supreme Court including a precedential decision recognized in the right of an abused child to maintain the cause of action for the failure of authorities to respond to reports of abuse. Reported land use decisions include establishment and clarification of zoning rights, successful representation of small businesses before local bodies including expansion and recognition of commercial land uses, together with representation provided to neighborhood associations resisting commercial development, as well as commercial developers. Multiple successful results have been obtained for clients before the Ohio Supreme Court. In addition to handling clients’ claims and attorney defense in legal malpractice and ethics litigation, Mr. Leppla has provided representation in matters involving professional ethics on behalf of both individual attorneys as well as on behalf of Bar Associations. During the past 30 years he has been a member of the Professional Ethics Committee of the Dayton Bar Association, the Board Review Committee on Professional Ethics of The Florida Bar, both of which he chaired, as well as the Ohio State Bar Association’s Legal Ethics and Professional Conduct Committee. The practice also involves partnership and business representation, handling commercial disputes, as well as probate and estate planning including counseling concerning medical/legal issues, throughout the State of Ohio as well as the State of Florida. Professional activities of Mr. Leppla include election as President of the Ohio State Bar Association (2008-2009), and as President of the Dayton Bar Association (1998-1999). He has served as President of the Out-of-State Practitioners Division of The Florida Bar (1994-1995), of the Miami Valley Trial Lawyers Association and of the Dayton Bar Association Foundation (2000-2001). Mr. Leppla served three terms on the Board of Governors of The Florida Bar (1998-2000, 2003-2007) and was a member of the Board of Governors of the Ohio State Bar Association. Mr. Leppla is a Trustee of the Ohio Legal Assistance Foundation, which administers funds from interest on attorney trust accounts to provide legal services to the poor. He has served as a member of the Board of Trustees of the Ohio Bar Liability Insurance Company and the Ohio State Bar Foundation. In addition, Mr. Leppla serves on the Executive Committee of the NAACP-Dayton Unit, and has chaired the Campaign for Equal Justice on behalf of Legal Aid and the Volunteer Lawyers Project in Western Ohio. He is a Fellow of The Florida Bar Foundation, the Ohio State Bar Foundation, the Dayton Bar Foundation and the Center for Justice & Democracy in New York. He has served as Special Counsel to the Attorney General of the State of Ohio (1988-1995) and is a member of the Dayton Bar Association, the Cleveland Metropolitan Bar Association, the Ohio Academy of Trial Lawyers (nka OAJ), the Association of Trial Lawyers of America (nka AAJ), and the Miami Valley Trial Lawyers. He has spoken extensively in multiple states on topics of professionalism, professional ethics and trial practice on behalf of the Ohio Academy of Trial Lawyers, the Miami Valley Trial Lawyers, the Ohio State Bar Association, the Dayton Bar Association, The Florida Bar, as well as allied Bars from other states. Gary J. Leppla was appointed to the Ohio Judicial Nominating Committee by Governor Ted Strickland in 2007 to select candidates to fill Judicial vacancies in Ohio, and is a life member of the NAACP. 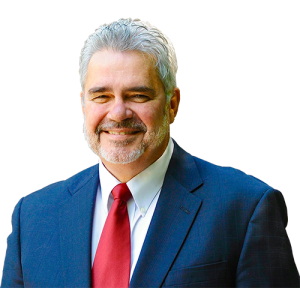 He has served as President of the Townview Advisory Counsel of the Salvation Army, and has served as a vice-president of the League of Women Voters of Ohio. In 2010 Mr. Leppla was awarded the Script Ohio Award, the highest recognition given by the TBDBITL Alumni Club (at that time an independent organization), for his exemplary service to the Ohio State University Marching Band organizations prior to the full incorporation of the entity into the Oho State University Alumni Association. Leppla Associates, Ltd. has routinely hosted political meetings and events in support of candidates, and has actively advocated for candidates and political reforms for decades.